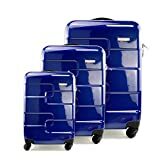 The IT Luggage Duralition Scratch Resistant Expandable Hard Shell Spinner Cases is a good sized 4 piece set which can be used for the whole family. 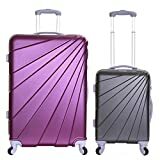 The cases even have the option to be expanded. 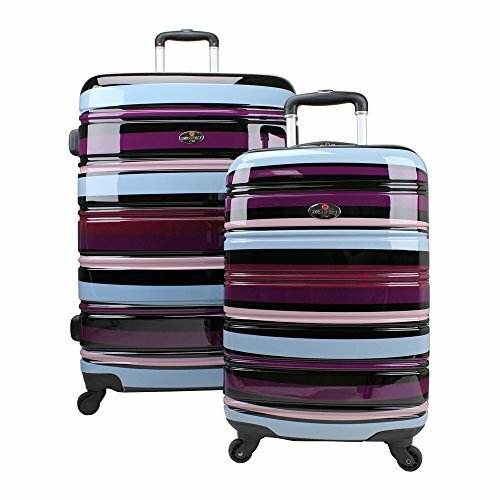 They have 8 spinner wheels for extra manoeuvrability and lockable zips to hold everything safely. 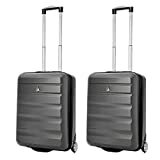 The IT Luggage Duralition Scratch Resistant Expandable Hard Shell Spinner Cases not only have 4 cases of different sizes but they have the option to increase the capacity. They are all expandable giving you up to 25% more storage space. 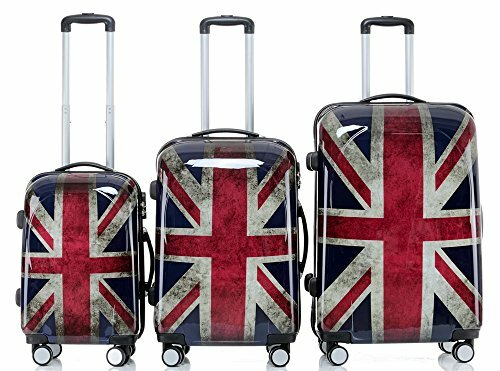 This is a great feature if you intend bringing more home from your holiday than you took with you. 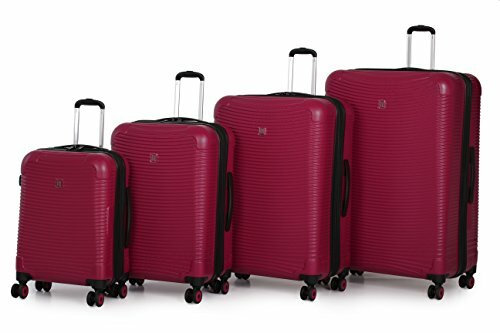 The larger cases are easy to manoeuvre when full thanks to the 8 spinner wheels. 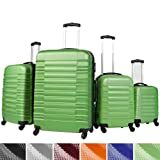 The interior of the IT Luggage Duralition Scratch Resistant Expandable Hard Shell Spinner Cases is fully lined and well laid out. 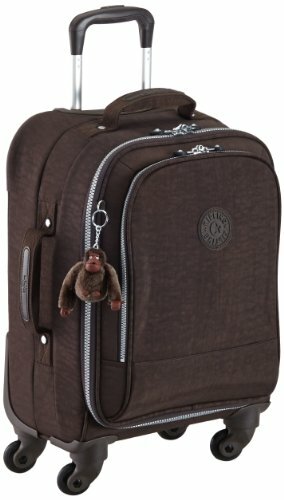 The bottom of the case has compression straps which will keep all your clothes securely in place while you travel. 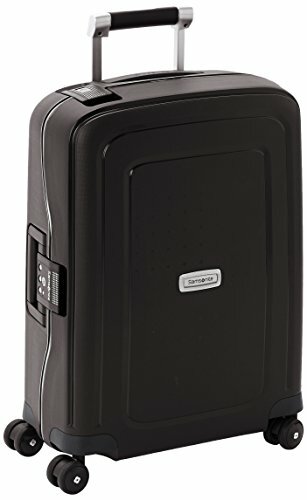 The top of the case has a zipped mesh compartment and divided pockets so shoes and smaller items can be stored separately. 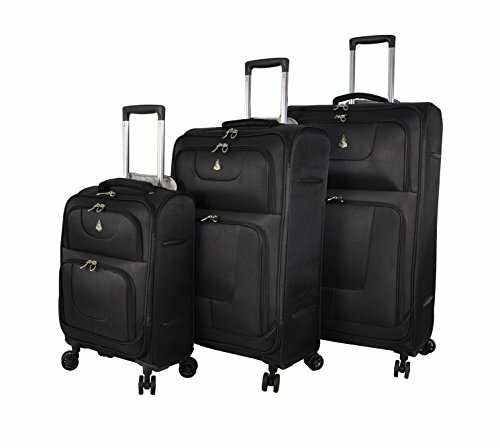 The IT Luggage Duralition Scratch Resistant Expandable Hard Shell Spinner Cases is a large set which can be expanded to allow an extra 25% of storage space. 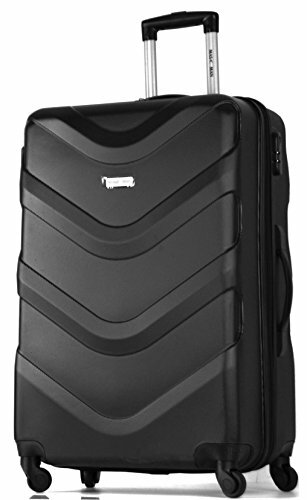 It has spinner wheels so you don’t have to struggle with the weight of a full case and a well-planned interior. 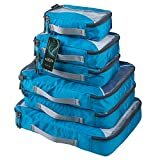 The sizes mean you can cater for any holiday making this a good purchase for the price.